Hardide Plc (LON:HDD) Chief Executive Officer Philip Kirkham caught up with DirectorsTalk for an exclusive interview to discuss their full-year results for the year ended 30th September 2018. Q1: Hardide has reported its full-year results to 30th September 2018, can you talk us through the highlights of those results? A1: We’re very pleased, obviously, with these set of results, it’s an all-time record in sales revenue with a 42% year-on-year increase in revenue to £4.6 million, also margins up 3% & gross profits increased by 52%. Our EBITDA figures improved by £440,000 & we now see EBITDA breakeven firmly in our sights. We’re continuing to invest for growth ahead of sales revenue, for example this year we’ve recruited an additional Business Development Engineer in the United States, we’ve purchased an additional coating reactor which is now installed & commissioned in Martinsville. We’re continuing to invest heavily in marketing & awareness campaigns. In addition, we’ve made very positive progress this year with both Airbus & Leonardo & getting very close to our first production orders there. So, all round, a very good year for us. 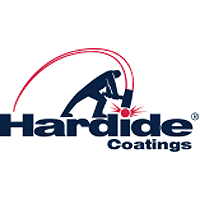 Q2: The Hardide manufacturing facility in the US has now been operational for 2 years and the sales to customers in North America now account for 61% of group revenue. Can you tell us more about the opportunities in this region? A2: Sales to our customers in North America rose by 84% compared with last year & we’ve seen a strong return in demand from oil & gas customers & also non-oil & gas related business. The two new supply agreements, that have previously been mentioned, have resulted in some really good high-value, good margin orders from North American based customers. These have contributed significantly to the gross margin result that we’ve seen this year. The fact that the site is now accredited to aerospace quality management system AS9100 Rev D & ISO9001 means that we can now coat parts for aerospace customers & we’re working with a number of potential customers in this region at the moment. As I mentioned earlier, the third coating reactor has been installed & commissioned in Martinsville & we’re also installing a new larger capacity pre-treatment line to accommodate the extra volume & types of components we expect. So, we see sales to customers in North America increasing again this current year, not just in the oil & gas sector but other sectors too. This year we appointed an experienced Business Development Manager who’s based in Houston to focus on the oil & gas market, this will allow our existing Vice President Business Development who’s also based in the region to develop aerospace & other markets which we see will be growing over the coming year. Q3: How would you describe the outlook for Hardide? A3: We’re very confident that 2019 will show further improvements in performance as we continue to grow & progress towards becoming EBITDA-positive. Indicators that we see from the oil & gas activity indicates that that will continue to be strong & we’re obviously carefully watching the global trends in the sector. We’re also working very hard with our aerospace customers to secure first volume sales & confident that we’ll see the benefit to the group very soon. Of course, the projective growth in activity, both in the US & the UK, brings its own challenges & one issue is that the additional coating capacity may soon be needed in the UK. We are where we are space-constrained in the existing building so an evaluation if our options is currently underway there. Overall, the group is in a very healthy position & we look forward to a very positive 2019.